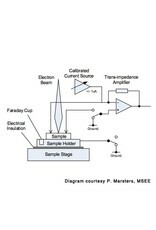 Electron-beam-induced current (EBIC) is a semiconductor analysis technique performed in a scanning electron microscope (SEM) or scanning transmission electron microscope (STEM). It is used to identify buried junctions or defects in semiconductors, or to examine minority carrier properties. EBIC is similar to cathodoluminescence in that it depends on the creation of electron hole pairs in the semiconductor sample by the microscope's electron beam. This technique is used in semiconductor failure analysis and solid-state physics. Learn more about EBIC here. Our second generation EBIC II Measurement System with Caesium 7 control software provides truly quantitative EBIC measurements with computer readable sub-pA level current measuring electronics, the ability to multiplex up to 16 EBIC channels of data, and integrated Faraday cups for accurate probe current measurements. A highly sensitive pre-amplifier for measuring EBIC at each acquisition point in a dot-map and linescan. EBIC data measured directly so there is no need to calculate out offsets due to brightness and contrast adjustment. A 16-channel multiplexer for computer-controlled selection of the desired signal. 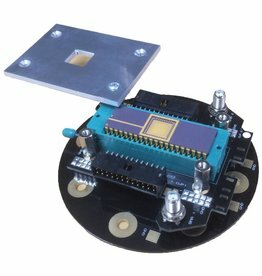 Mount multiple devices in a single package to allow fast, simple EBIC measurement from several samples without breaking vacuum. 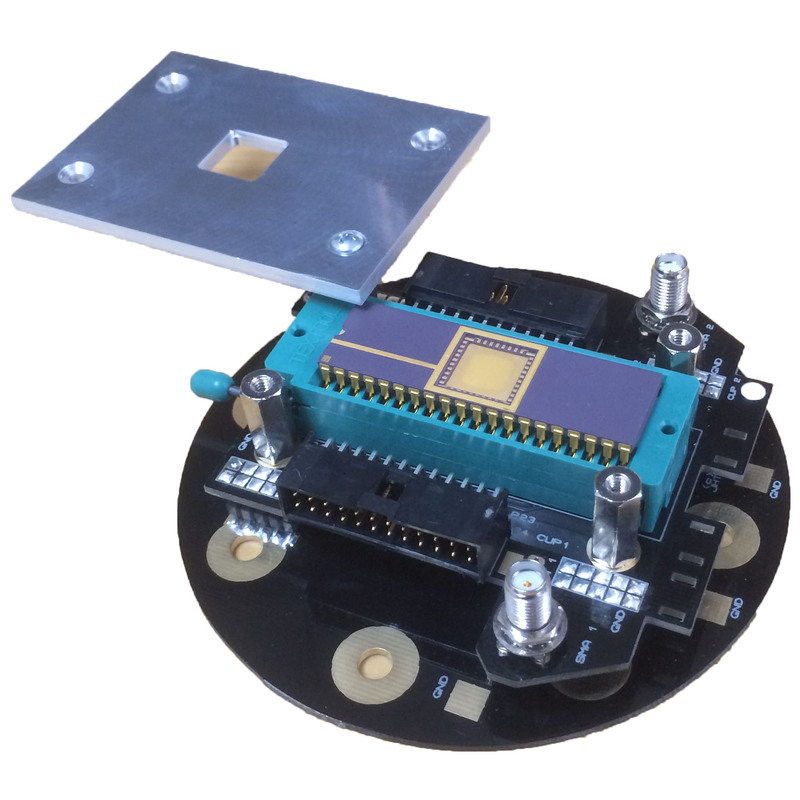 License to the EBIC control and data display module for our Caesium7 software with time-based EBIC data collection, EBIC line scans and EBIC dot-map displays. Basic EBIC: Two contacts are positioned close to the region of interest. The electron beam is rastered over this region to form an image from the induced current, the EBIC current. Biased EBIC: One electrode is biased, positive or negative, to adjust the depletion-region displacement field. Specimen Current: The electron beam current is focused on the sample and measured with respect to the system ground. This method frequently is called absorbed electron imaging (AEI), among other names when the beam is rastered into an image. AC EBIC: The electron beam is modulated and the EBIC current is detected using a lock-in amplifier. This approach is used when extremely low EBIC current levels are overwhelmed by other currents and system noise. Note: This method is not supported in the current version of software. 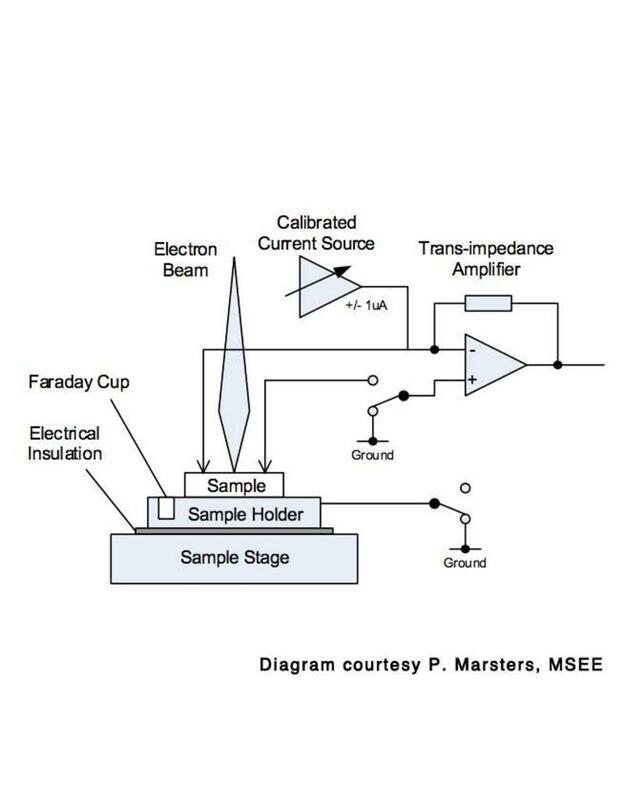 Probe Current: The incident electron-beam probe current is measured using a Faraday cup. The FC provides a good estimate of the incident beam current by capturing the majority of secondary electrons produced before they are lost to the specimen chamber. DC Compensation: A small current, in the +/- 1uA range, is added to the input current to offset systematic non-EBIC derived currents in the circuit. 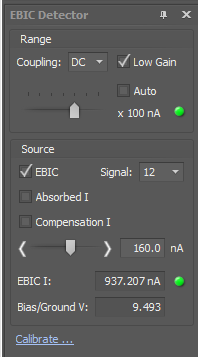 By way of example, the compensation current is used to offset the current produced by ambient light impinging onto the sample, which provides a constant source of non-EBIC related e-h pair generation. Current Calibration: A small precision current is fed into the pre-amp for calibration purposes, providing accurate, traceable EBIC data.